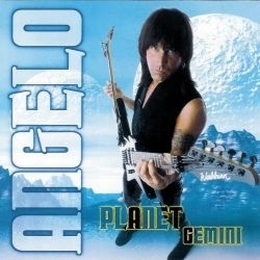 Michael Angelo Batio Releases "Planet Gemini"
Planet Gemini is the second studio album by American shred guitarist Michael Angelo Batio, credited simply as Angelo. After No Boundaries, Batio appeared to take a more progressive approach with Planet Gemini, and many blues-influenced riffs and licks are also apparent. Two tracks - "Planet Gemini" and "Time Traveler" - were remixed and remastered with real drums for the 2007 compilation 2 X Again. Planet Gemini was also re-released on August 1, 2000 on the Perris Records label. All songs were written and arranged by Michael Angelo.